Born May 16, 1824, Edmund Kirby Smith was the son of Joseph and Francis Smith of St. Augustine, FL. Natives of Connecticut, the Smiths quickly established themselves in the community and Joseph was named a federal judge. Seeking a military career for their son, the Smiths sent Edmund to military school in Virginia in 1836. Completing his schooling, he earned admittance to West Point five years later. A middling student, Smith, who was known as "Seminole" due to his Florida roots, graduated ranked 25th in the class of 41. Assigned to the 5th US Infantry in 1845, he received a promotion to second lieutenant and a transfer to the US 7th Infantry the following year. He remained with the regiment through the beginning of the Mexican-American War in May 1846. Serving in Brigadier General Zachary Taylor's Army of Occupation, Smith took part in the Battles of Palo Alto and Resaca de la Palma on May 8-9. The 7th US Infantry later saw service in Taylor's campaign against Monterrey that fall. Transferred to Major General Winfield Scott's army, Smith landed with American forces in March 1847 and began operations against Veracruz. With the fall of the city, he moved inland with Scott's army and earned a brevet promotion to first lieutenant for his performance at Battle of Cerro Gordo in April. Nearing Mexico City late that summer, Smith was brevetted to captain for gallantry during the Battles of Churubusco and Contreras. Losing his brother Ephraim at Molino del Rey on September 8, Smith fought with the army through the fall of Mexico City later that month. Following the war, Smith received an assignment to teach mathematics at West Point. Remaining at his alma mater through 1852, he was promoted to first lieutenant during his tenure. Departing the academy, he later served under Major William H. Emory on the commission to survey the US-Mexico boundary. Promoted to captain in 1855, Smith changed branches and shifted to the cavalry. Joining the 2nd US Cavalry, he moved to the Texas frontier. Over the next six years, Smith took part in operations against the Native Americans in the region and in May 1859 received a wound in the thigh while fighting in the Nescutunga Valley. With the Secession Crisis in full swing, he was promoted to major on January 31, 1861. A month later, following Texas' departure from the Union, Smith received a demand from Colonel Benjamin McCulloch to surrender his forces. Refusing, he threatened to fight to protect his men. As his home state of Florida had seceded, Smith assessed his position and accepted a commission in the Confederate Army as a lieutenant colonel of cavalry on March 16. Formally resigning from the US Army on April 6, he became chief of staff to Brigadier General Joseph E. Johnston later that spring. Posted in the Shenandoah Valley, Smith received a promotion to brigadier general on June 17 and was given command of the brigade in Johnston's army. The following month, he led his men at the First Battle of Bull Run where he was badly wounded in the shoulder and neck. Given command of the Department of Middle and East Florida, while he recovered, Smith earned a promotion to major general and returned to duty in Virginia as a division commander that October. In February 1862, Smith departed Virginia to take command of the Department of East Tennessee. In this new role, he advocated for an invasion of Kentucky with the goal of claiming the state for the Confederacy and obtaining needed supplies. This movement was finally approved later in the year and Smith received orders to support the advance of General Braxton Bragg's Army of Mississippi as it marched north. The plan called for him to take his newly-created Army of Kentucky north to neutralize Union troops at Cumberland Gap before joining with Bragg to defeat Major General Don Carlos Buell's Army of the Ohio. Moving out in mid-August, Smith quickly diverted from the campaign plan. 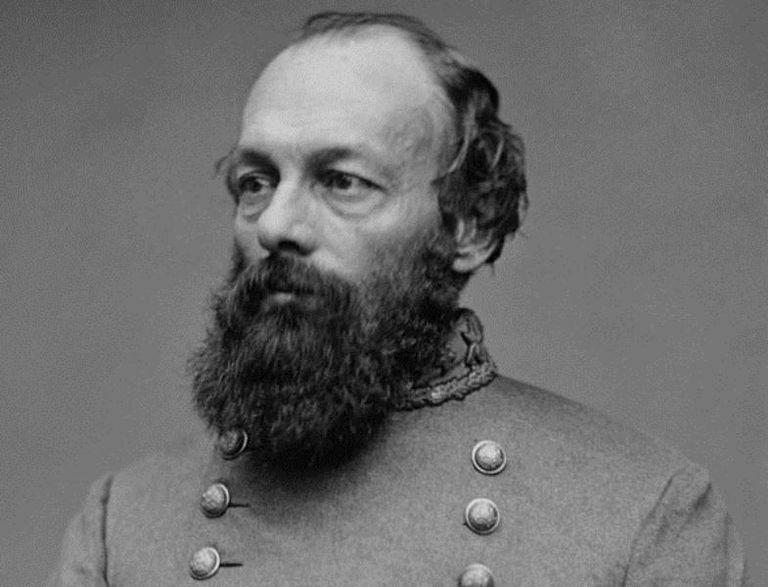 Though he won a victory at Richmond, KY on August 30, he failed to unite with Bragg in a timely manner. As a result, Bragg was held by Buell at the Battle of Perryville on October 8. As Bragg retreated south, Smith finally rendezvoused with the Army of Mississippi and the combined force withdrew to Tennessee. Despite his failure to aid Bragg in a timely fashion, Smith earned a promotion to the newly-created rank of lieutenant general on October 9. In January, he moved west of the Mississippi River and assumed command of the Southwestern Army with his headquarters at Shreveport, LA. His responsibilities expanded two months later when he was appointed to command the Trans-Mississippi Department. Though consisting of the entirety of the Confederacy west of the Mississippi, Smith's command badly lacked manpower and supplies. A solid administrator, he worked to strengthen the region and defend it against Union incursions. During 1863, Smith attempted to aid Confederate troops during the Sieges of Vicksburg and Port Hudson but could not field sufficient forces to relieve either garrison. With the fall of these towns, Union forces assumed complete control of the Mississippi River and effectively cut the Trans-Mississippi Department off from the rest of the Confederacy. Promoted to general on February 19, 1864, Smith successfully defeated Major General Nathaniel P. Banks' Red River Campaign that spring. The fighting saw Confederate forces under Lieutenant General Richard Taylor defeat Banks at Mansfield on April 8. As Banks began to retreat down the river, Smith dispatched forces led by Major General John G. Walker north to turn back a Union thrust south from Arkansas. Having accomplished this, he attempted to send reinforcements east but was unable to do so due to Union naval forces on the Mississippi. Instead, Smith directed Major General Sterling Price to move north with the department's cavalry and invade Missouri. Departing in late August, Price was defeated and driven south by the end of October. In the wake of this setback, Smith's activities became limited to raiding. As Confederate armies began surrendering at Appomattox and Bennett Place in April 1865, the forces in the Trans-Mississippi became the only Confederate troops remaining in the field. Meeting with General Edward R.S. Canby at Galveston, TX, Smith finally surrendered his command on May 26. Concerned that he would be tried for treason, he fled to Mexico before settling in Cuba. Returning to the United States later in the year, Smith took an oath of amnesty at Lynchburg, VA on November 14. After a brief tenure as president of the Accident Insurance Company in 1866, Smith spent two years heading the Pacific and Atlantic Telegraph Company. When this failed, he returned to education and opened a school at New Castle, KY. Smith also served as president Western Military Academy at Nashville and chancellor of the University of Nashville. From 1875 to 1893, he taught mathematics at the University of the South. Contracting pneumonia, Smith died on March 28, 1893. The last living commander on either side to hold the rank of full general, he was buried in the University Cemetery at Sewanee.